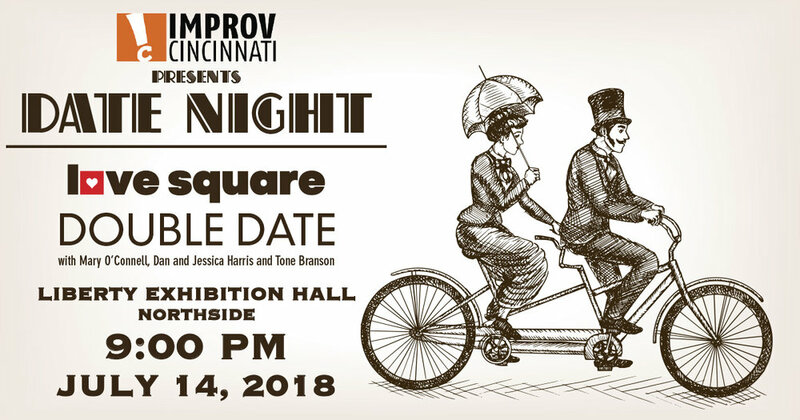 Love Square - Improv Cincinnati's co-founders, Colin Thornton and Jon Ulrich, will take you on a musical road trip adventure with a format that is emotionally textured, playful, and genuinely hilarious! Double Date - What happens when you bring together two real life couples, both of whom happen to also be master improvisers? Dan and Jessica Harris are joined by the dynamic duo Tone Branson and Mary O'Connell for a very special double date performance. Changelings - Students of the Improv Cincinnati Academy open the show with some entertaining improv games. Featuring: Edmund Osterman, Annie Weisbrod, Shannon Garcia, and Tanner Howell.